Wartune Patch 8.3 Pre-Launch Maintenance 11/29 04:00 AM EST (Select Servers Only)! Wartune Patch 8.1 Pre-Launch Maintenance 9/6 04:00 AM EDT (Select Servers Only)! Willpower System FAQ After the previous update, we've received a lot of feedback on Patch 7.0, and we know that you have many questions about the Willpower system. Please read the FAQ post for answers, and thank you for supporting Wartune! 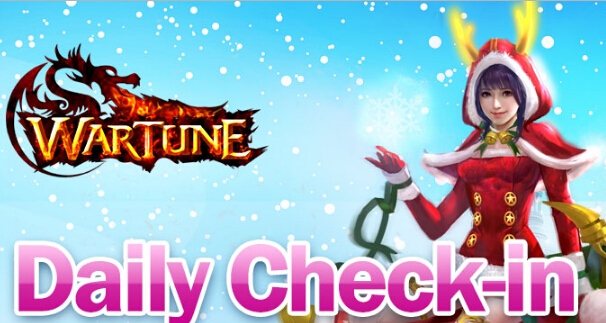 Wartune Daily Check-in Event ​Event Time: 01/17 - 02/10 23:59 (EST) Description: Check-in every day to be rewarded! Note: When your devotion reaches the required amount, you must refresh the game page in order to collect rewards from the event page. Class Wars Return on Nov 22nd! 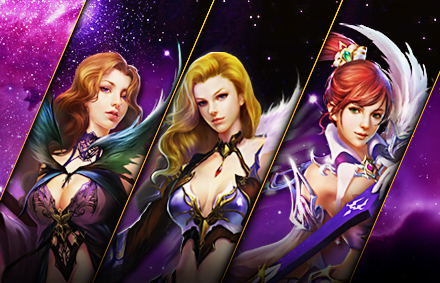 Get ready to prove your might against all others in this single-class, cross-server event! The 16th Chaos War is coming! Preliminaries will be held on Tuesday, November 1st from 19:55 to 21:00 Server Time. Finals will be held on Thursday, November 3rd from 19:55 to 21:00 Server Time. Class Wars Return on October 25th! Get ready to prove your might against all others in this single-class, cross-server event! Class Wars Return on September 27th! Destroy or be destroyed! Heroes of Balenor, take up your weapons and show the world who’s worthy of ruling your class in Wartune’s latest Class War on September 27th! Class Wars Return on August 30th! Destroy or be destroyed! Heroes of Balenor, take up your weapons and show the world who’s worthy of ruling your class in Wartune’s latest Class War on August 30th! The 13th Chaos War is coming! Preliminaries will be held on Tuesday, Augest 9th from 19:55 to 21:00 Server Time. Finals will be held on Thursday, Augest 11th​ from 19:55 to 21:00 Server Time. 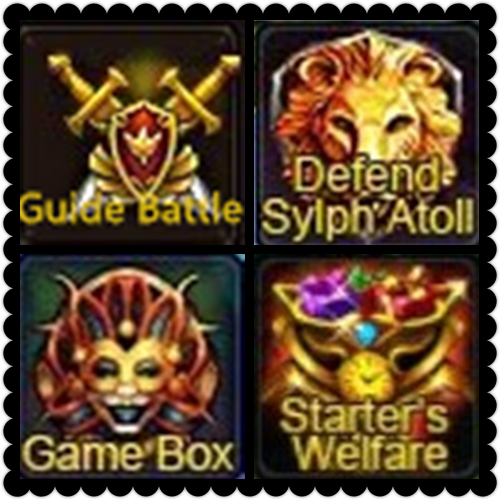 Guild Battle Rating Top 10 We'd like to share the Guild Battle Rating Ranking TOP 10 with all. The 12th Chaos War Arrives! 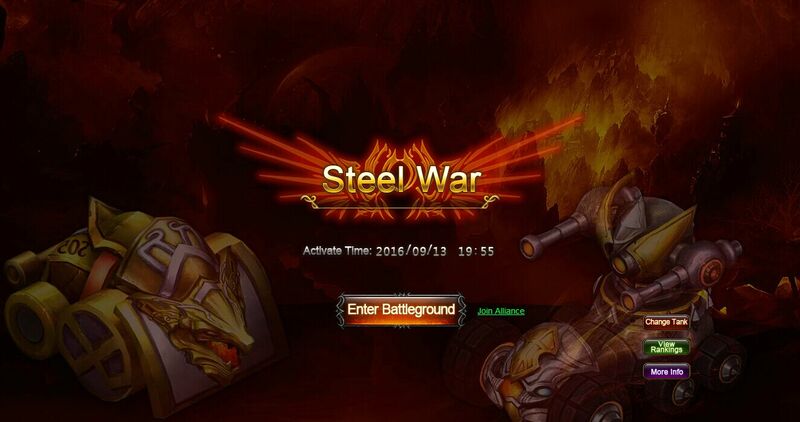 Preliminaries will be held on Tuesday, July 12th from 19:55 to 21:00 Server Time. Finals will be held on Thursday, July 14th from 19:55 to 21:00 Server Time. Patch 5.7&5.8 is coming! R2Games will present patch 5.7&5.8 on 30th, June. The 12h Chaos War is coming! 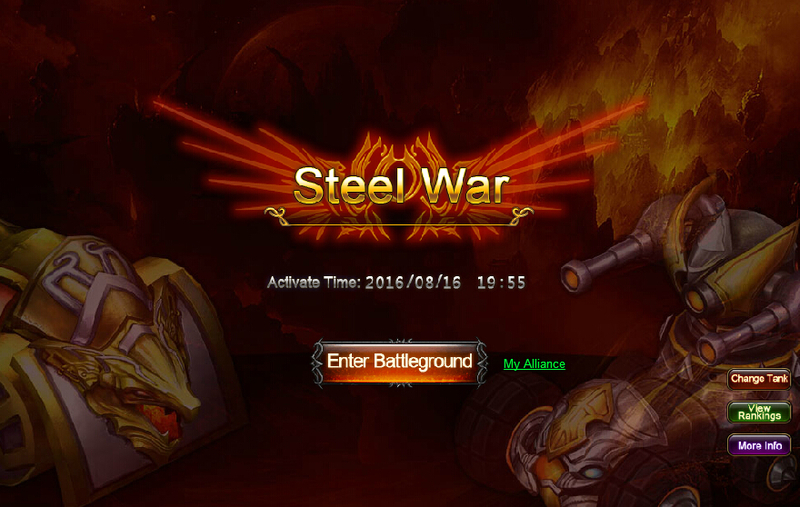 Preliminaries will be held on Tuesday, June 14th from 19:55 to 21:00 Server Time. Finals will be held on Thursday, June 16th from 19:55 to 21:00 Server Time. Class Wars Return on June 7th! Destroy or be destroyed! Heroes of Balenor, take up your weapons and show the world who’s worthy of ruling your class in Wartune’s latest Class War on June 7th! Cross-server Guild Battle: Rule Them All May 21st! 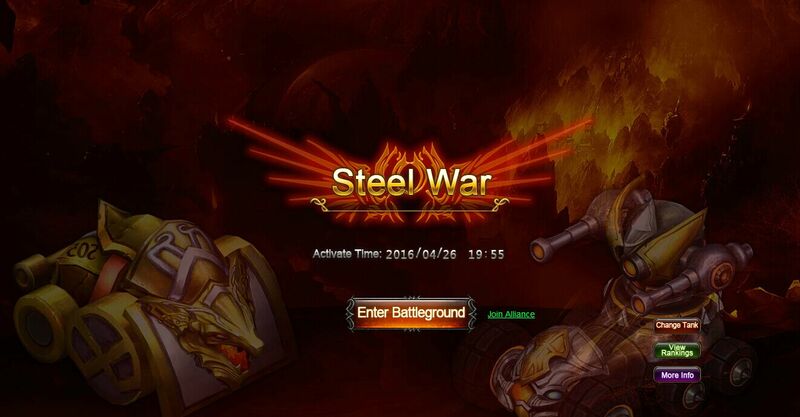 The sign up phase for the Cross-server Battle will begin at 00:00 on May 18th and ends at 23:30 on May 20th. The 10th Chaos War is coming! Preliminaries will be held on Tuesday, May 17th from 19:55 to 21:00 Server Time. Finals will be held on Thursday, May 19th from 19:55 to 21:00 Server Time. Class Wars Return on May 10th! Destroy or be destroyed! Heroes of Balenor, take up your weapons and show the world who’s worthy of ruling your class in Wartune’s latest Class War on May 10th! Patch 5.6 Arrives! 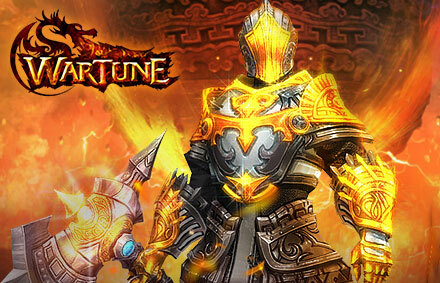 R2Games Presents the Wartune 5.6 Patch Update: Titan System, Weekly Dungeon,Eudaemon Patrol, and New Clothing System! Class Wars Return on April 12th! Destroy or be destroyed! Heroes of Balenor, take up your weapons and show the world who’s worthy of ruling your class in Wartune’s latest Class War on April 12th! The 8th Chaos War Arrives! 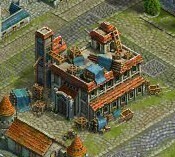 ​Preliminaries will be held on Tuesday, March 22nd from 19:55 to 21:00 Server Time. Finals will be held on Thursday, March 24th from 19:55 to 21:00 Server Time. 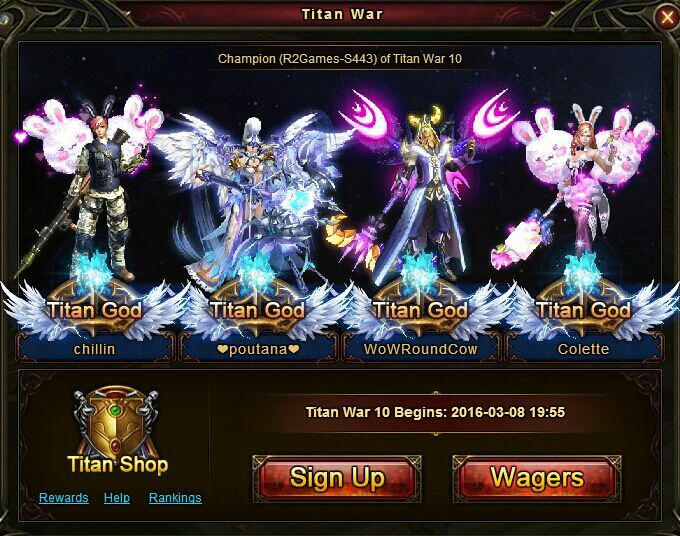 The 10th Titan War Arrives! 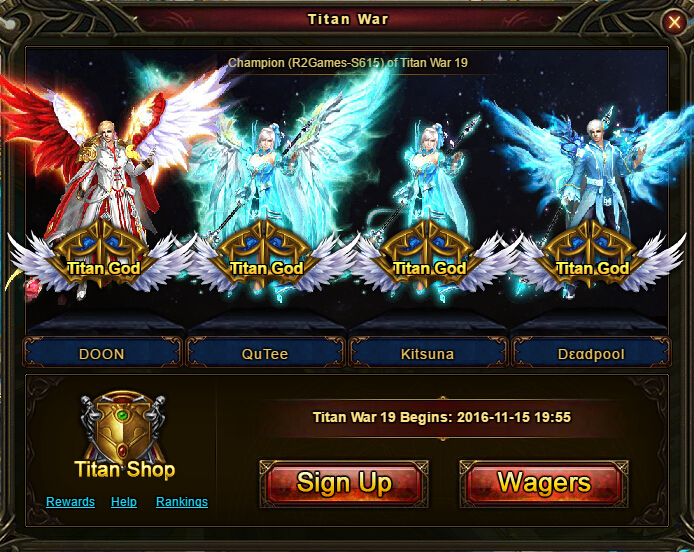 The 10th cross-server class war - Titan War is coming soon! The 7th Chaos War Arrives! 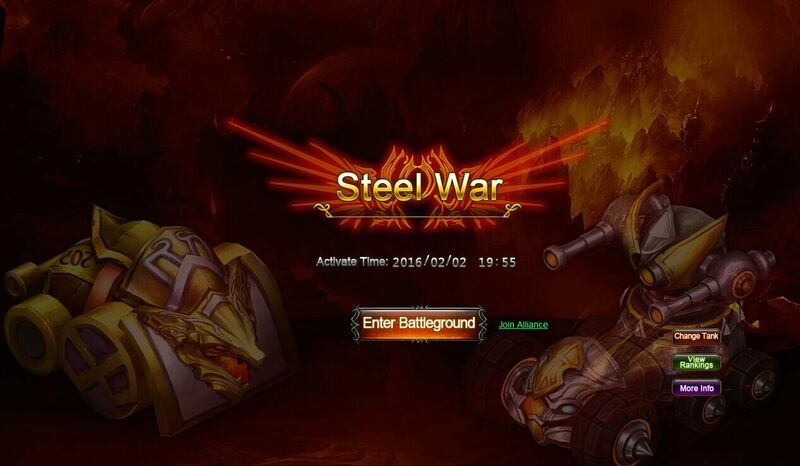 Preliminaries will be held on Tuesday, February 23rd from 19:55 to 21:00 Server Time. Finals will be held on Thursday, February 25th from 19:55 to 21:00 Server Time. The 6th Chaos War Arrives! Preliminaries will be held on Thursday, January 28th from 19:55 to 21:00 Server Time. Finals will be held on Saturday, January 30th from 19:55 to 21:00 Server Time. Patch 5.5 is coming! 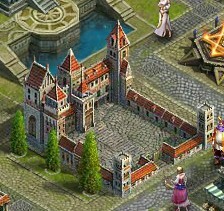 R2Games Presents the Wartune 5.5 Patch Update: Selling Eudaemons, City Buildings, and Knighthood! Class Wars Return on Jan. 21st! Destroy or be destroyed! Heroes of Balenor, take up your weapons and show the world who’s worthy of ruling your class in Wartune’s latest Class War on January 21st! The 8th Titan War Arrives! 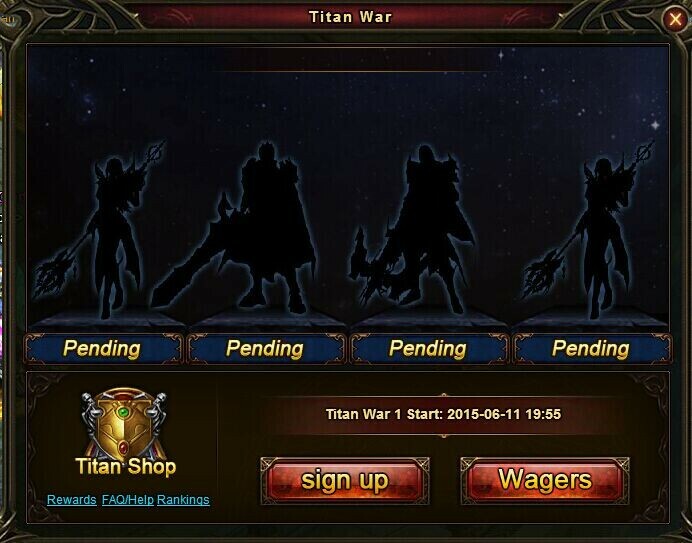 The 8th cross-server class war - Titan War is coming soon! The 5th Chaos War is coming! 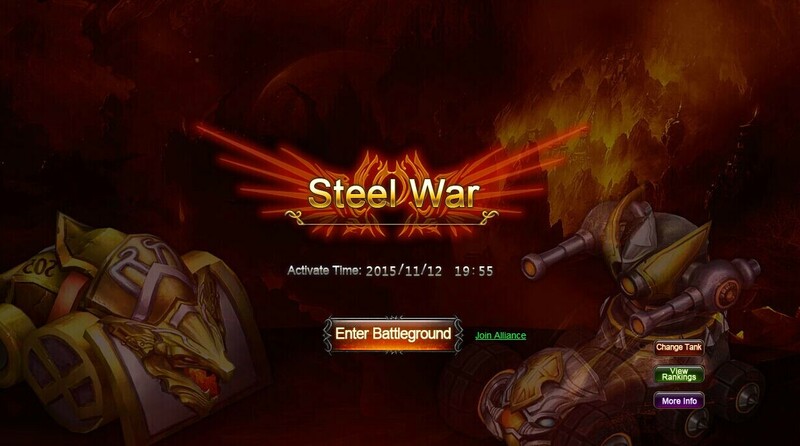 Preliminaries will be held on Thursday, December 31th from 19:55 to 21:00 Server Time. Finals will be held on Saturday, January 1st from 19:55 to 21:00 Server Time. Cross-server Guild Battle: Rule Them All December 27th! Hey! Have you heard? 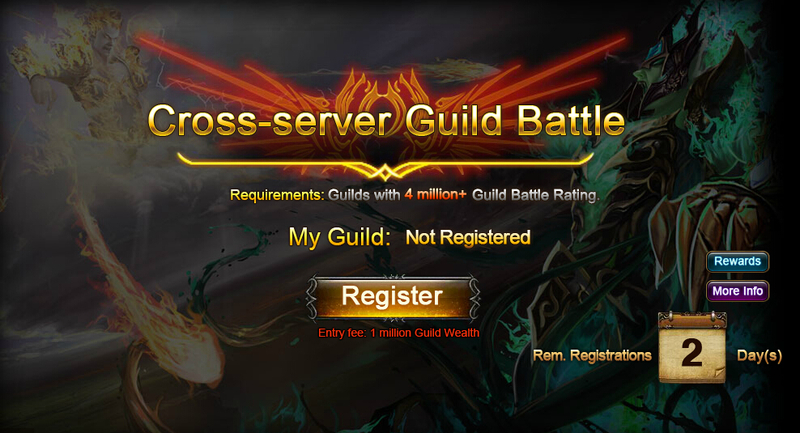 the latest Cross-server Guild Battle Season is coming! Class Wars Return on December 24th! Destroy or be destroyed! Heroes of Balenor, take up your weapons and show the world who’s worthy of ruling your class in Wartune’s latest Class War on December 24th! 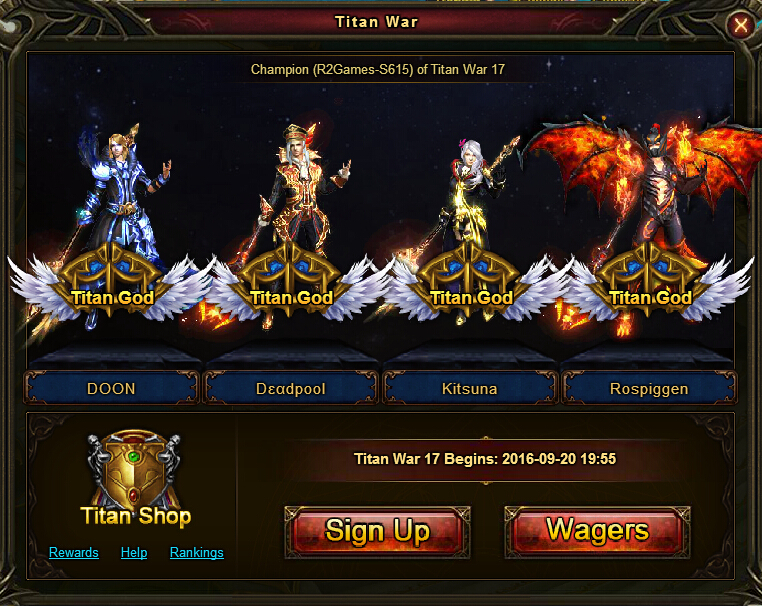 The 7th Titan War Arrives! 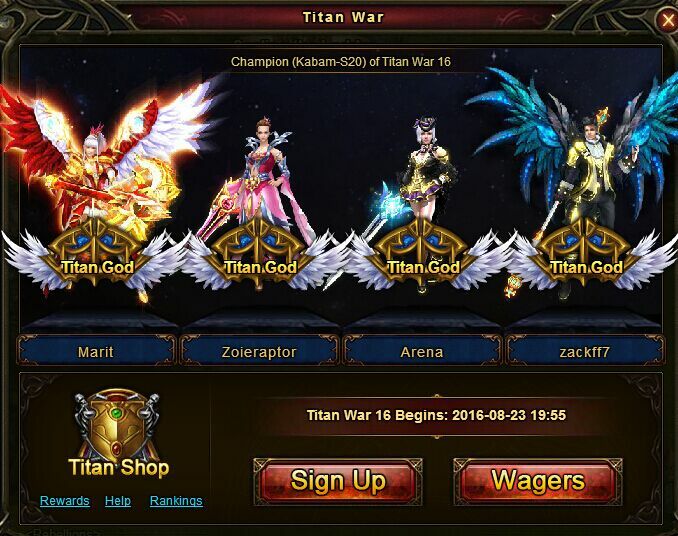 The 7th cross-server class war - Titan War is coming soon! The 4th Chaos War is here! 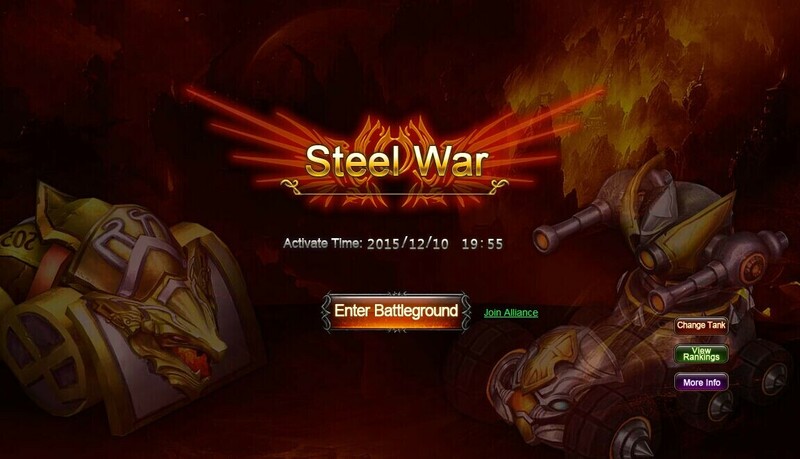 Preliminaries will be held on Thursday, December 3rd from 20:00 to 21:00 Server Time. Finals will be held on Saturday, December 5th from 20:00 to 21:00 Server Time. Class Wars Return on November 26th! Destroy or be destroyed! Heroes of Balenor, take up your weapons and show the world who's worthy of ruling your class in Wartune's latest Class War on November 26th! The 6th Titan War Arrives! 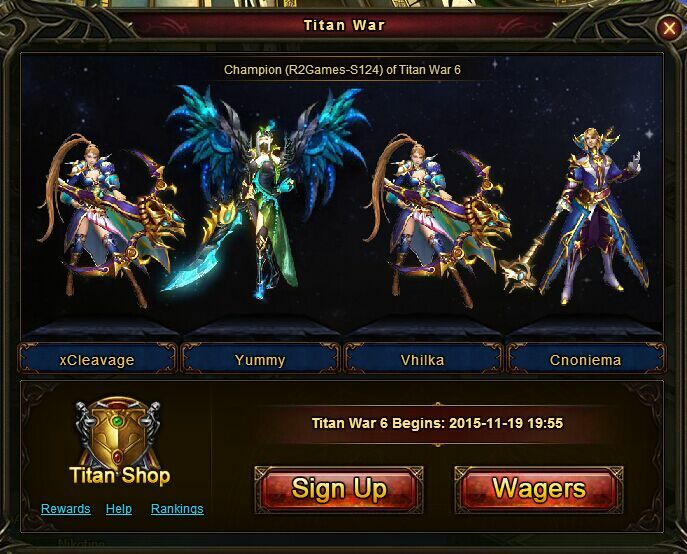 The 6th cross-server class war - Titan War is coming soon! ​Version 5.1 - Optimized for a smoother, more enjoyable gaming experience! Wartune Patch 5.1 is coming! The Third Chaos War is here! Preliminaries take place on Thursday, November 5th from 20:00 to 21:00 Server Time. Finals on Saturday, November 7th from 20:00 to 21:00 Server Time as well. 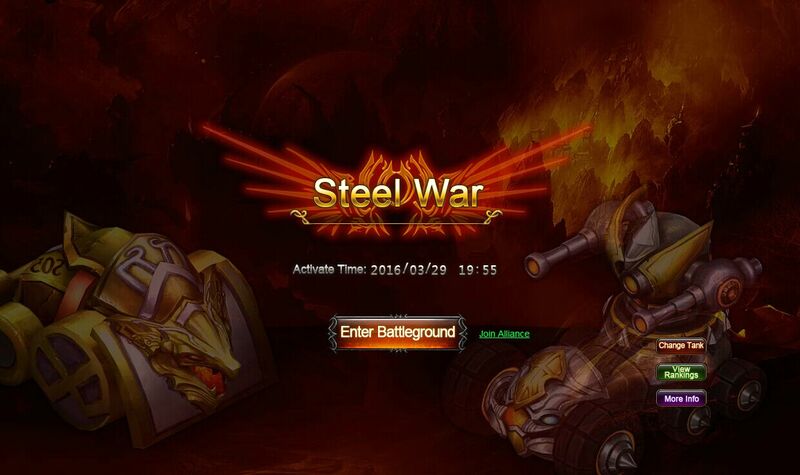 Wartune Account Security Notice For those players have not logged into our games since January 1, 2017, we highly recommend that you log in at least once between May 25 and June 24 2018. This is necessary to protect your accounts. Otherwise, you will have to contact our customer service to reactivate your accounts. We assure you that your interests in the accounts will not be affected by this. 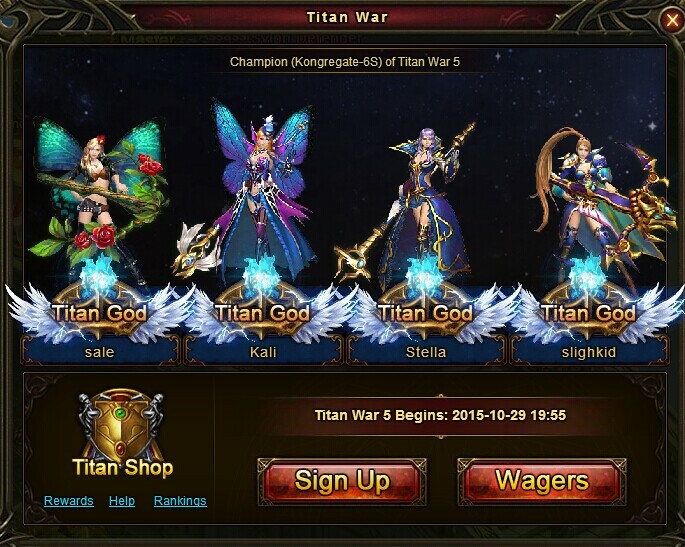 The 5th Titan War Arrives! 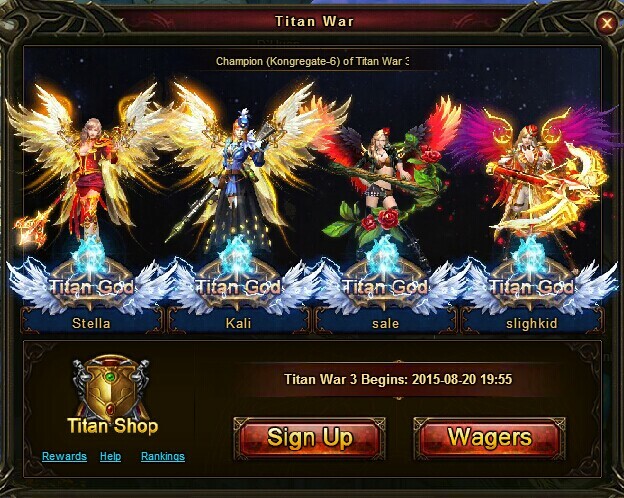 The 5th cross-server class war - Titan War is coming soon! Class Wars Return on October 22nd! Destroy or be destroyed! Heroes of Balenor, take up your weapons and show the world who’s worthy of ruling your class in Wartune’s latest Class War on October 22nd! The Second Chaos War is here! Event Time: Preliminaries take place on Thursday, October 8th from 20:00 to 21:00 Server Time. Finals on Saturday, October 10th from 20:00 to 21:00 Server Time as well. Cross-server Guild Battle: Rule Them All Sept. 27th! Hey! Have you heard? 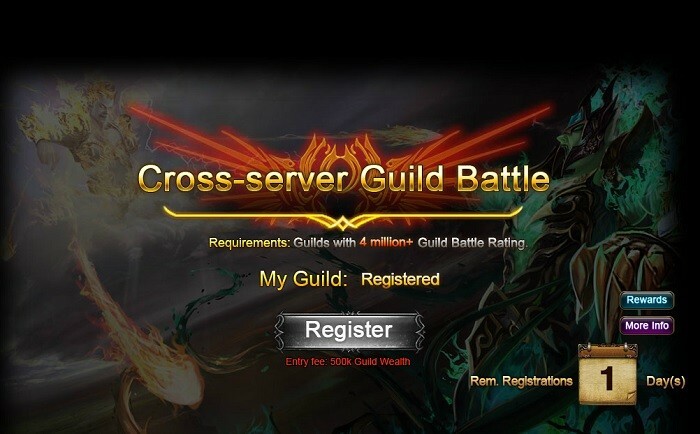 the latest Cross-server Guild Battle Season is coming! Class Wars Return on September 24th! Heroes of Balenor, take up your weapons and show the world who’s worthy of ruling your class in Wartune’s latest Class War on September 24th! 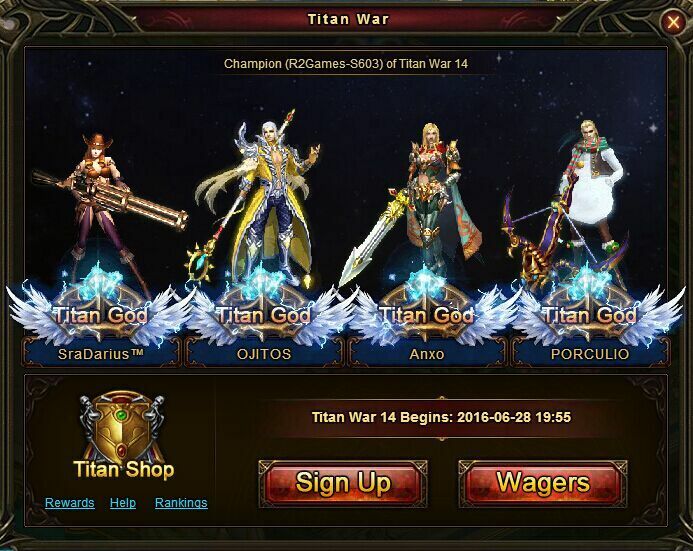 The 4th Titan War Arrives! 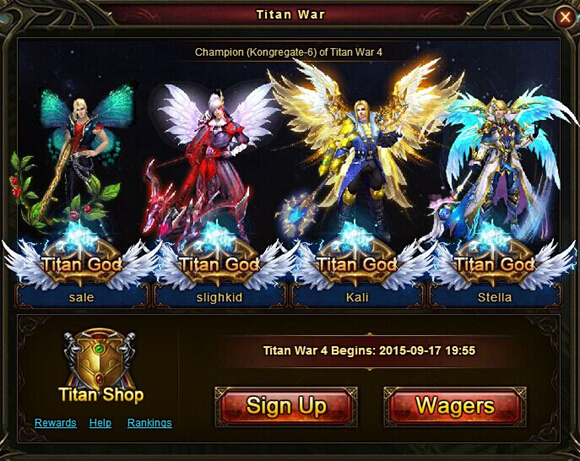 The 4th cross-server class war - Titan War is coming soon! 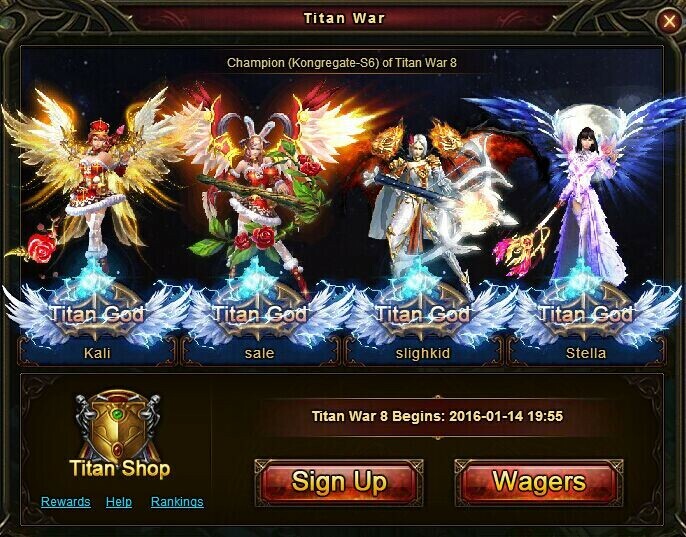 The 3rd Titan War Arrives! 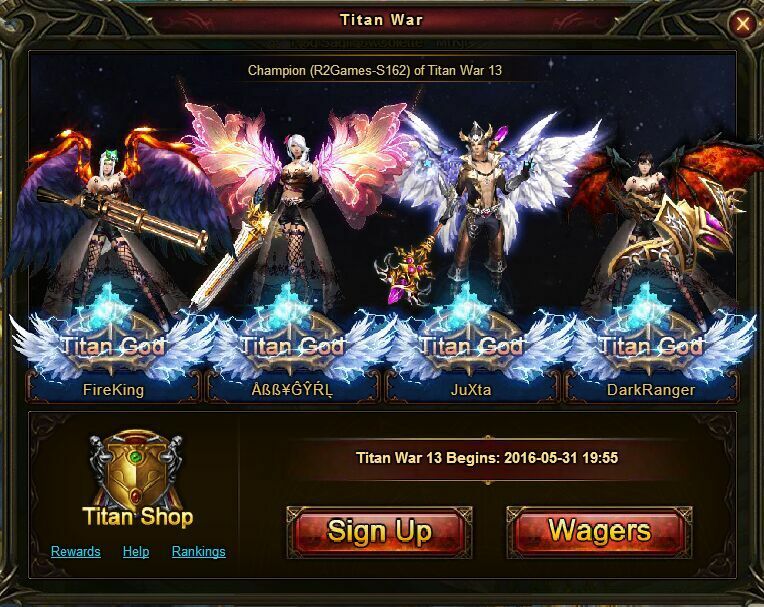 The third cross-server class war - Titan War is coming soon! 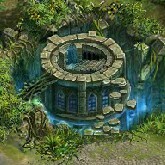 5.0 Patch - Delve into Danger in Tara Temple! Wartune Patch 5.0 has finally arrived! Class Wars Return July 23rd! Destroy or be destroyed! Heroes of Balenor, take up your weapons and show the world who’s worthy of ruling your class in Wartune’s latest Class War on June 23rd! 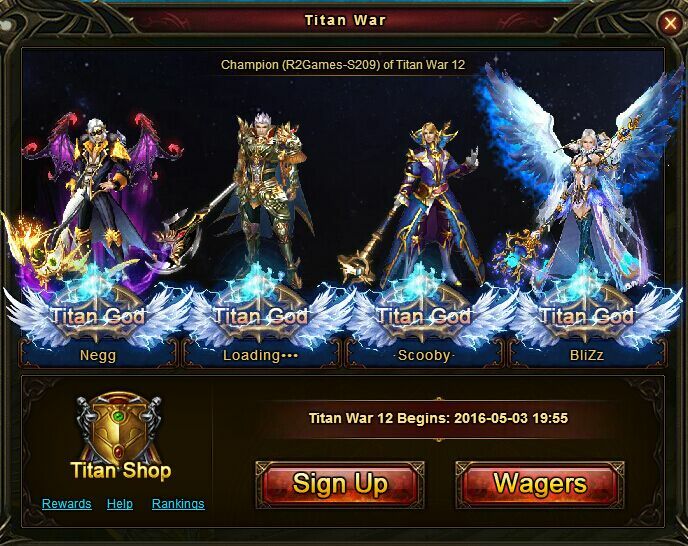 The 2nd Titan War Arrives! 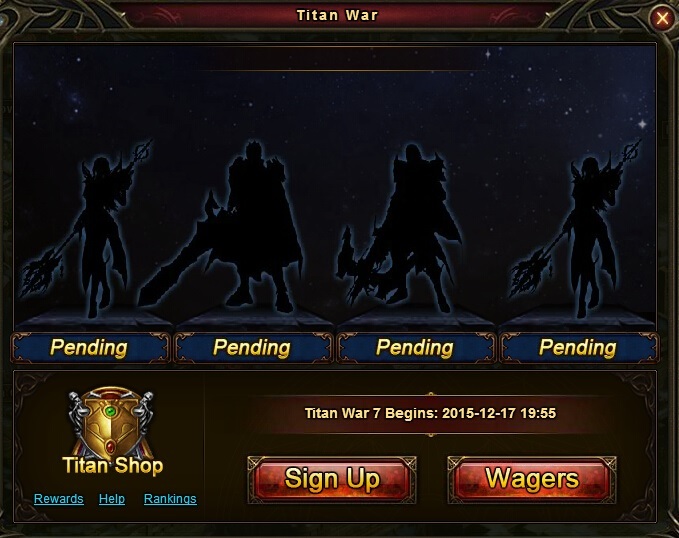 The second cross-server class war - Titan War is coming soon! [Guide] Wartune 4.0 Part Three By popular demand; the Tanks are back! Once again, Wartune PvP action in army tanks. This time they're bigger, faster and more devastating than before. 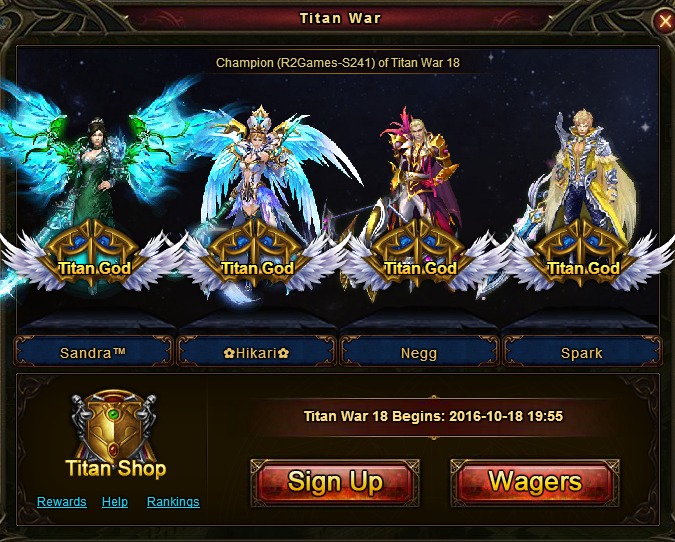 The 1st Titan War Arrives! 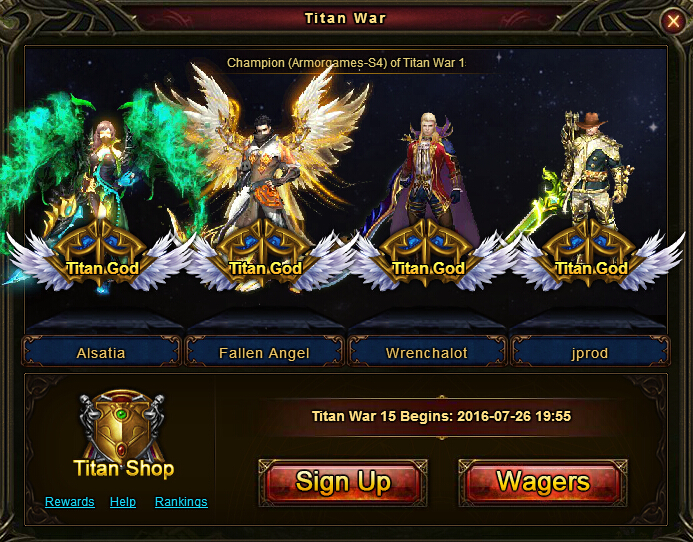 The first cross-server class war - Titan War is coming soon! Don't Let Your VIP Benefits Run Out. Re-Subscribe Now. R2 is currently in the process of fine-tuning its payment systems. 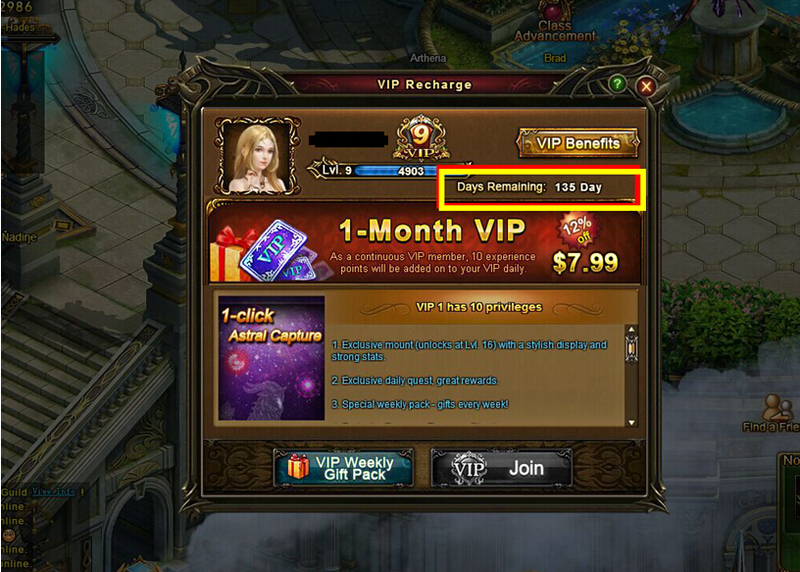 As part of this process, all users who signed up for monthly VIP benefits before April 10th will need to re-subscribe. December 18th - Class Wars Return! We have decided to release the Class Wars early this month to keep your Christmas day open. Just this month, the Class Wars will unlock on December 18th. We hope you have a merry Christmas! November 27th - Class Wars Return! Heroes of Balenor, take up your weapons and show the world who's worthy of ruling your class in Wartune's latest Class War on November 27th! The Hall of Fame has returned! The Hall of Fame has returned! This time there are even more awesome rewards for those who are deemed worthy. October 23rd - Class Wars Return! Heroes of Balenor, take up your weapons and show the world who's worthy of ruling your class in Wartune's latest Class War on October 23rd! [Anouncement] The Underground Palace Opens October 15th! Delve into the depths of the Underground Palace and discover where your bravery lies while uncovering secret treasures and monstrosities. Participate in the event from October 15th - October 26th! [Annoucement] Wartune Gods Descent is upon us! Gods Descent is upon us! Join us from October 18th - October 19th to Discover what it truly means to battle the BOSSes! September 25th - Class Wars Return! Heroes of Balenor, take up your weapons and show the world who's worthy of ruling your class in Wartune's latest Class War on September 25th! [Annoucement] Wartune Gods Descent is upon us! Gods Descent is upon us! Join us from September 19th - September 20th to Discover what it truly means to battle the BOSSes! August 28th - Class Wars Return! Class Wars return to Wartune on August 28th! Click here to see the Champions of the last Class War, and the details for the upcoming one this 28th! [Annoucement] Wartune Gods Descent is upon us! Gods Descent is upon us! Join us from August 22nd - August 24th to Discover what it truly means to battle the BOSSes! [Announcement] Official mini-client is up and running! 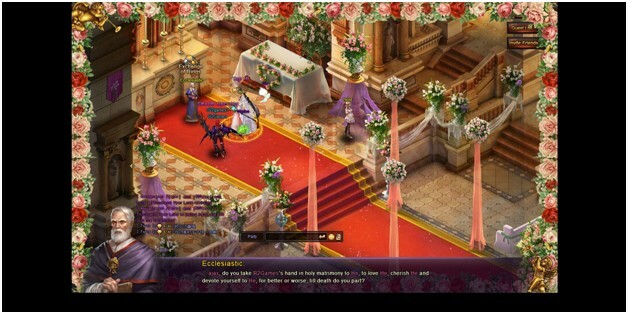 ❤ Wartune Sweet Wedding Events are coming! 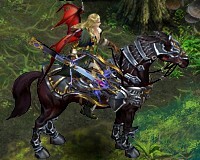 Marriage, horse drawn carriages, and happily ever after are heading your way in Wartune 3.1! Get ready to show your true love some real commitment while trudging through the dark dungeons of Balenor. Find out more! Wartune Maintenance on August 6th @ 3:30 AM EDT We will be performing a maintenance on several servers on August 6th @ 3:30 AM EDT (00:30 PDT, 8:30 AM GMT, 3:30 PM GMT +8). We will updating these servers to Part I of the Wartune 3.1 Update. 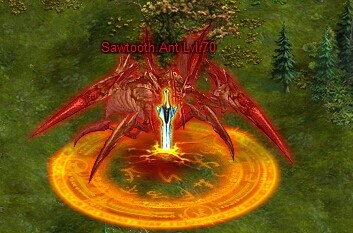 Wartune Weekly Server Launches 7/21 - 7/27 Wartune will launch on 4 new servers this week. Please click "read more" for further details. Hot!! 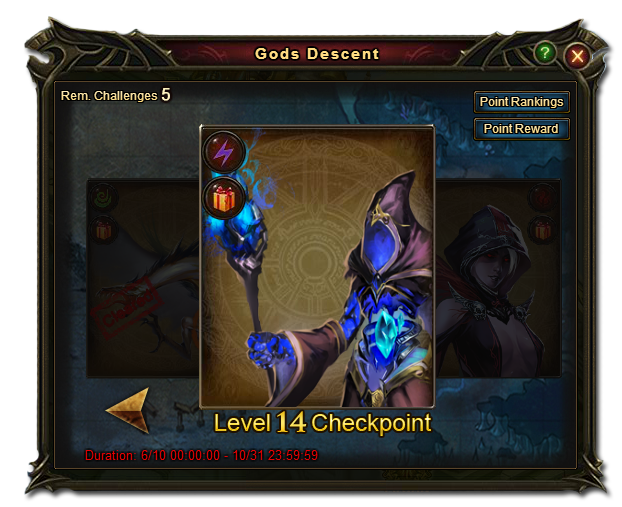 Wartune Overlord Descent Events! 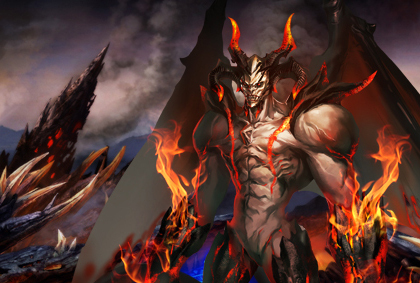 New July event series - Overlord Descent is now live for Wartune! Ready to get surprised and enjoy this summer? Click and read more right now! 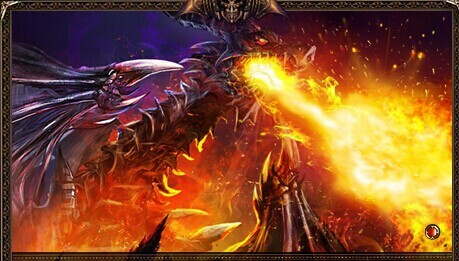 Wartune Weekly Server Launches 7/14 - 7/21 Wartune will launch on 3 new servers this week. Please click "read more" for further details. Announcing Talking-Wartune Talking-Wartune is here! Join us and let your voice be heard in our weekly discussion topics. Click "More" for details! Wartune Easter Events! With spring in full bloom and Easter right around the corner, there’s never been a better time to celebrate! Click "more" to find out what kind of exciting activities we have in store for you this holiday! 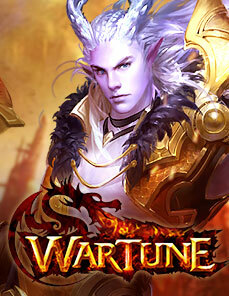 Wartune Weekly Server Launches 3/24 - 3/30 Wartune will launch on 4 new servers this week. Please click "read more" for further details. Wartune Weekly Maintenance 3/20 @ 3:30 AM EDT Wartune will be having its weekly maintenance this Thursday the 20th of March at 3:30 AM EDT. Maintenance is expected to take approximately 4 to 6 hours. Please click "read more" for further details. Wartune Weekly Server Launches Wartune will launch on 3 new servers this week. Please click "read more" for further details. 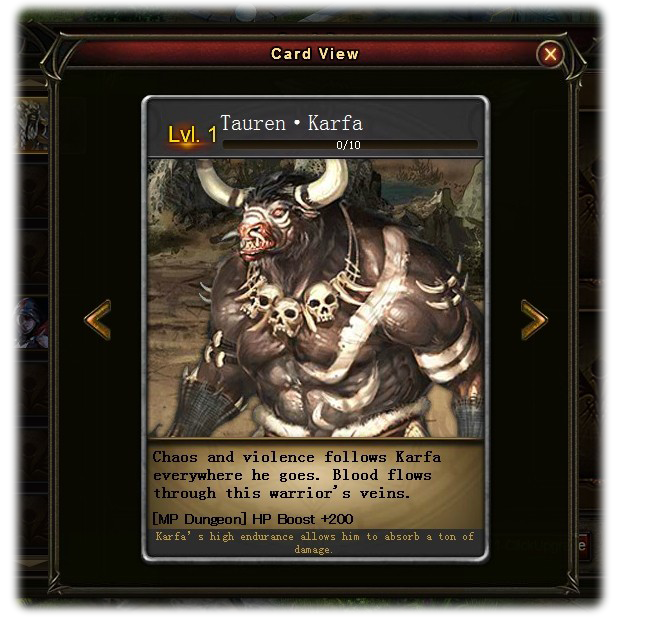 Wartune 2.1 Part IV: A World of Cards Wartune 2.1 Part IV is coming soon with the brand new card system. Click "read more" for further details of the upcoming world of cards. Wartune Weekly Maintenance 12/13 @ 2:30 AM EST Wartune will be having its weekly maintenance this Friday the 13th of December at 2:30 AM EST. Maintenance is expected to take approximately 2 to 3 hours. Please click "read more" for further details. Wartune Server Merges for 12/18 @ 2:30 AM EST We'll be merging a number of Wartune servers on December 18th. Click 'more' to get all the details of the merge, as well as special activities and promotions for the merged servers. [Promotion] Honorable Return We have a special promotion for absent players! If you've been gone from Wartune for more than a week, now is the time to return! [Guide] Sylph System With Part II of the 2.1 Update complete, we've got our guide to the Sylph System updated with the latest details! [Guide] Wartune 2.1: Part II Wartune 2.1: Part II has officially arrived! Click "Read More" to check out what's new in the last part of the 2.1 Update! [FAQ] Amethyst Mine Curious about how the new Amethyst mine works? Then be sure to check out our FAQ! Wartune Server 400 Special Celebration Events! 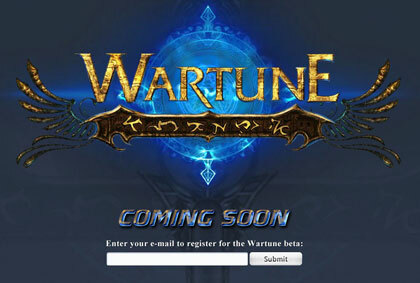 ​Wartune will be releasing its 400th server soon! To celebrate this milestone, we'll be having some special Activities for all servers, as well as a special Event and Promotion just for server 400! [Announcement] Wartune Weekly Maintenance 12/5 @ 2:30 AM EST Wartune will be having its weekly Maintenance on *Thursday, the 5th of December at 2:30 AM EST, (11:30 PM PST (Dec 4th), 7:30 AM GMT, and 3:30 PM GMT +8). Maintenance is expected to take approximately 2 to 3 hours. Please keep an eye on this thread for any updates or changes. 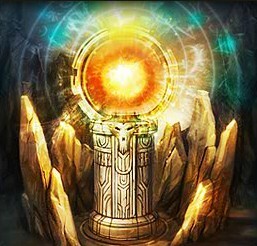 Wartune Server S1 Maintenance We will be performing a maintenance on server S1 on Monday, December 2nd at 11:00 PM PST. Please click "more" to get additional details! Wartune Server Merges for 11/28 @ 2:00 AM EST We'll be merging a number of Wartune servers on November 28th. Click 'more' to get all the details of the merge, as well as special activities and promotions for the merged servers. Class Wars Return November 21st! Class Wars return to Wartune on November 21st! Wartune Server Merges for 11/15 @ 2:00 AM EST We'll be merging a number of Wartune servers on November 15th. Click 'more' to get all the details of the merge, as well as special activities and promotions for the merged servers. Search Cloud City for Chest Pieces in 2.1! With the release of part one of the 2.1 Update, Cloud City is now open for all those level 15 or higher. Participate in various quests to collect Cloud City Chest Pieces which you can exchange for either Iris, Pan, or even Apollo Seals! Wartune 2.1 Part One Maintenance 11/05 @ 9:00 PM EST ​Wartune will be having its weekly Maintenance on Tuesday, November 5th at 9:00 PM EST. Maintenance is expected to take approximately 6 to 8 hours, with the exception of Server S1. Wartune Weekly Maintenances for 10/29 and 10/30! We'll be having two different maintenance times for Wartune this week. Be sure to check to news to find out when your server will be having its maintenance. Class Wars Return October 17th! Class Wars return to Wartune on October 17th! Wartune Weekly Maintenance 10/17 @ 3:00 AM EDT Wartune will be having its weekly maintenance this Thursday the 17th of October at 3:00 AM EDT. Maintenance is expected to take approximately 2 to 3 hours. Please click "read more" for further details. Wartune Weekly Maintenance 10/10 @ 3:00 AM EDT Wartune will be having its weekly maintenance this Thursday the 10th of October at 3:00 AM EDT. Maintenance is expected to take approximately 2 to 3 hours. Please click "read more" for further details. Wartune Weekly Maintenance 09/26 @ 3:00 AM EDT Wartune will be having its weekly maintenance this Thursday the 26th of September at 3:00 AM EDT. Maintenance is expected to take approximately 2 to 3 hours. Please click "read more" for further details. Class Wars Return September 19th! Class Wars return to Wartune on September 19th! 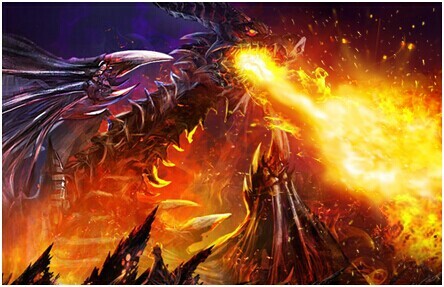 Wartune Emergency Maintenance 09/17 @ 5:40 AM EDT Wartune's normal maintenance for this week has been cancelled. 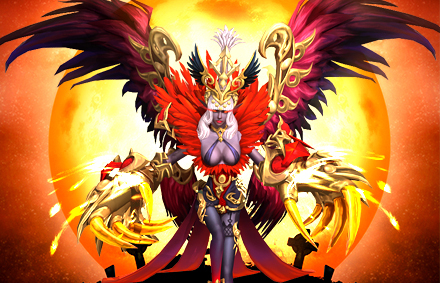 However, we will be having an emergency maintenance for Wartune at 5:40 AM EDT today, the 17th of September. Wartune Weekly Maintenance 09/12 @ 3:00 AM EDT Wartune will be having its weekly maintenance this Thursday the 12th of September at 3:00 AM EDT. Maintenance is expected to take approximately 2 to 3 hours. Please click "read more" for further details. Wartune Weekly Maintenance 09/05 @ 3:00 AM EDT Wartune will be having its weekly maintenance this Thursday the 5th of September at 3:00 AM EDT. Maintenance is expected to take approximately 2 to 3 hours. Please click "read more" for further details. 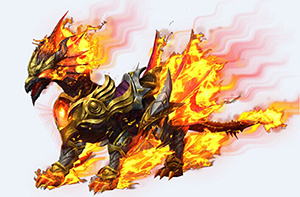 No Wartune Maintenance for 08/29 ​Wartune will be taking this week off of its normal maintenance schedule. As such there will be no maintenance for August 29th. Wartune Server Merges for 08/30 @ 3:00 AM EDT We'll be merging a number of Wartune servers on the evening of August 30th. Click 'more' to get all the details of the merge, as well as special activities and promotions for the merged servers. Emergency Maintenance on August 22nd @ 4:30 AM EDT Wartune will be having an Emergency Maintenance on August 22nd at 4:30 AM EDT. Servers are expected to be down for 1 to 2 hours while we work on fixing the issue with voucher rewards giving out the wrong amount. Wartune Weekly Maintenance August 20th @ 10:00 PM EDT Wartune will be having its weekly maintenance this Tuesday the 20th of August at 10:00 PM EDT. We'll be rolling out Part Two of the 1.6 Update for all servers for Wartune! August 22nd - Class Wars Return! Class Wars return to Wartune on August 22nd! Click here to see the Champions of the last Class War, and the details for the upcoming one this 22nd! Wartune's One Year Anniversary!!! This August we'll be celebrating the 1 Year Anniversary of Wartune. This month will be our biggest month of events and promotions to date! Just click "more" to see the list of everything coming this month! Wartune Server Merges for August 9th @ 3:00 AM EDT We'll be merging a number of Wartune servers on the evening of August 9th. Click 'more' to get all the details of the merge, as well as special activities and promotions for the merged servers. Wartune Weekly Maintenance July 25th @ 3:00 AM EDT ​​Wartune will be having this weekly Maintenance on Thursday, July 25th at 3:00 AM EDT. Class War Winners Round 2! ​Congratulations to this month's Class Wars winners! Their strength, prowess, and unbreakable nerves have deemed them the Rulers of their classes! Think twice before trying to take them down! Wartune Server Merges 07/26 @ 3:00 AM EDT We'll be merging a number of Wartune servers on the evening of July 26th. Click 'more' to get all the details of the merge, as well as special activities and promotions for the merged servers. Wartune Server 300 Special Celebration Events! 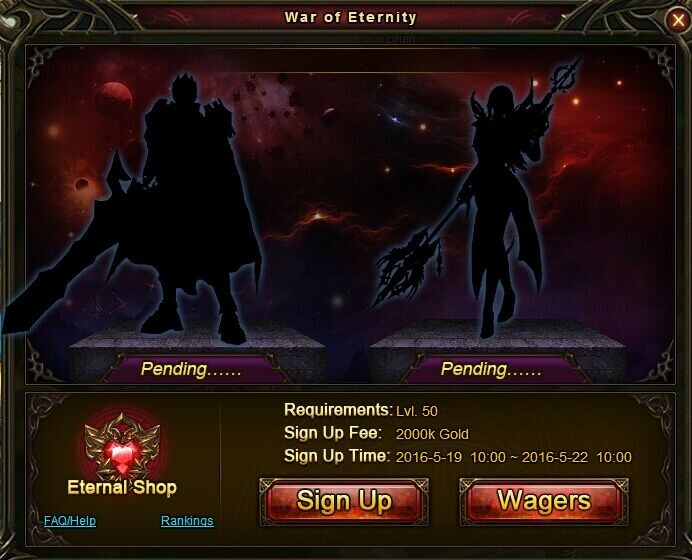 Wartune will be releasing its 300th server on July 21st! In celebration of this milestone, we'll be having some special Activities for all servers, as well as one special Activity and one Promotion just for server 300! Click here to see all the festivities for the celebration! [Announcement] Wartune Weekend Server Launches Looking to get started on a new server, but aren't sure which one? Check out our listings of this weekend's server launches. Wartune Weekly Maintenance July 18th @ 3:00 AM EDT Wartune's weekly maintenance will be occurring on Thursday, July 18th at 3:00 AM EDT. We'll also be updating our Recharge pack with tomorrow's maintenance! July 18th - Class Wars Return! 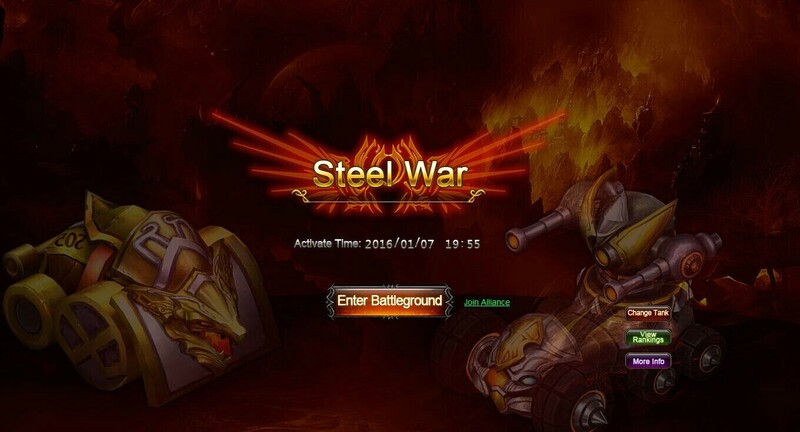 Class Wars return to Wartune on July 18th! Click here to see the Champions of the last Class War, and the details for the upcoming one this 18th! Wartune Server Merges for 07/12 @ 3:00 AM EDT We'll be merging a number of Wartune servers on July 12th. Click 'more' to get all the details of the merge, as well as special activities and promotions for the merged servers. Wartune Weekly Maintenance 07/10 @ 3:00 AM EDT Wartune's weekly maintenance will be occurring on Wednesday, July 10th at 3:00 AM EDT. We'll also be updating our Recharge pack with tomorrow's maintenance! Wartune Server Merges 07/05 @ 3:00 AM EDT We'll be merging a number of Wartune servers on the evening of July 5th. Click 'more' to get all the details of the merge, as well as special activities and promotions for the merged servers. Wartune Weekly Maintenance 07/02 @ 3:30 AM EDT Wartune's weekly maintenance will be occurring on Tuesday, July 2nd at 3:30 AM EDT instead of its normal Thursday. We'll also be updating our Recharge pack with tomorrow's maintenance! 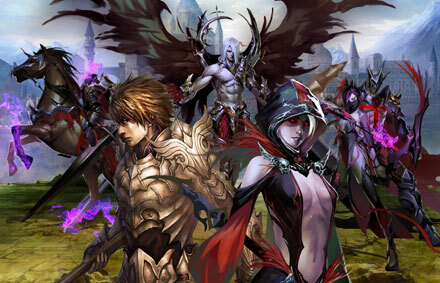 Wartune Server Merges 06/28 @ 3:00 AM EDT We'll be merging a number of Wartune servers on the evening of June 28tht. Click 'more' to get all the details of the merge, as well as special activities and promotions for the merged servers. Wartune Weekly Maintenance 06/27 @ 3:00 AM EDT Wartune will be having its normal weekly Maintenance on June 27th at 3:00 AM EDT. Please click 'more' for additional details. Wartune Server Merges 06/21 @ 3:00 AM EDT We'll be merging a number of Wartune servers on the evening of June 21st. Click 'more' to get all the details of the merge, as well as special activities and promotions for the merged servers. Class Wars to start June 20th! Wartune's first ever Class Wars start June 20th! Be sure to use these last few days to prepare yourself and leave your mark upon the finals! Wartune Weekly Maintenance 06/12 @ 10:00 PM EDT Part One of the 1.6 Update is coming to all servers as part of the Maintenance on June 12th! Get all the details of this week's Maintenance, along with Guide to Part One of the 1.6 Patch inside! 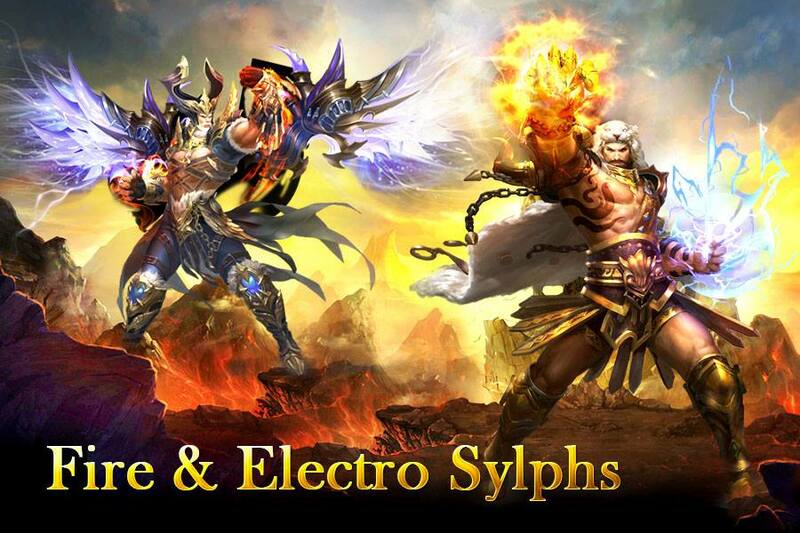 Wartune Server Merges 06/06 @ 10:00 PM EDT We'll be merging a number of Wartune servers on the evening of June 6th. Click 'more' to get all the details of the merge, as well as special activities and promotions for the merged servers. Wartune Maintenance for S1 and S3 only June 4th We'll be performing a maintenance for just servers S1 and S3 on June 4th, updating them to Part One of the 1.6 Patch. [Announcement] Wartune Weekly Server Launches Looking to get started on a new server, but aren't sure which one? Check out our listings of this week's server launches for the Week of December 9th. [Announcement] No Wartune Maintenance for 05/30 Wartune will be taking this week off of its normal maintenance schedule. As such there will be no maintenance for May 30th. Wartune Server Merges 05/30 @ 10:00 PM EDT We'll be merging a number of Wartune servers on the evening of May 30th. Click 'more' to get all the details of the merge, as well as special activities and promotions for the merged servers. Wartune Server Merges 05/23 @ 10:00 PM EDT We'll be merging a number of Wartune servers on the evening of May 23rd. Click 'more' to get all the details of the merge, as well as special activities and promotions for the merged servers. [Announcement] Wartune 1.6 Preview Curious to see what's coming with the next major Wartune release? Get a sneak peak now of the 1.6 Update for Wartune! Click 'more' to see the teaser. Wartune Server Merges 05/16 @ 10:00 PM EDT We'll be merging a number of Wartune servers on the evening of May 16th. Click 'more' to get all the details of the merge, as well as special activities and promotions for the merged servers. No Wartune Maintenance for 05/16 Wartune will be taking this week off of its normal maintenance schedule. As such there will be no maintenance for May 16th. Wartune 1.5 Part III Guide Wartune 1.5: Part III has officially arrived! Click "Read More" to check out what's new in the last part of the 1.5 Update! Wartune 1.5 Part Three May 9th @ 3:00 AM EDT ​Wartune will be rolling out Part 3 of the 1.5 Update during the Maintenance on May 8th! Click "More" for all the details! Wartune Weekly Maintenance for 05/02 cancelled So players are aware, Wartune's normal weekly maintenance scheduled for May 2nd is cancelled and will not be occurring. We'll resume our regular maintenance schedule on May 9th. Weekly Maintenance 04/25 @ 3:00 AM EDT Maintenance is over, the servers are back up, and you can check out the patch notes by clicking here! 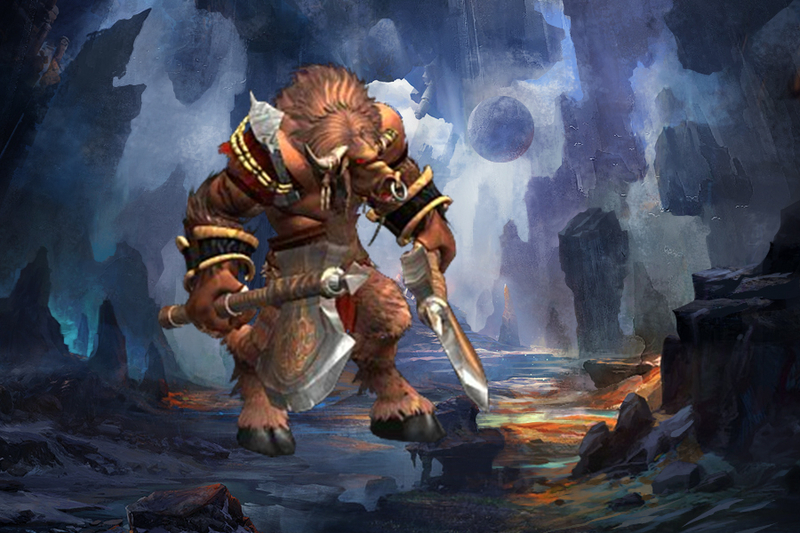 Server Merges for 04/18 @ 10:00 PM EDT We'll be merging a number of Wartune servers on the evening of April 18th. Click 'more' to get all the details of the merge, as well as special activities and promotions for the merged servers. 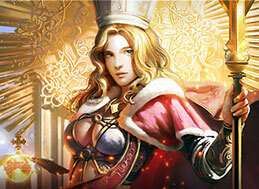 Wartune Weekly Maintenance 04/09 & 04/11 Wartune will be having a Maintenance for Server S1 on April 9th at 10:00 PM EDT. 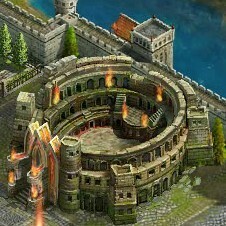 All other servers will be on April 11th at 3:00 AM EDT. Please click 'more' for additional details. Server Merges for 04/11 @ 10:00 PM EDT We'll be merging a number of Wartune servers on the evening of April 11th. Click 'more' to get all the details of the merge, as well as special activities and promotions for the merged servers. Part 3 of the 1.5 Update... Now that Part 2 of the 1.5 Update is live, we're working to get Part 3 up and running. When an you expect to see it? Click 'read more' to find out! Wartune wants to hear from you! Have a moment to spare? Care to let us know what you'd like to see more of in the game? Then click here to read more and take our short player survey! Wartune Maintenance: 1.5 Part Two Now Live! Part Two of the Wartune 1.5 Update is now LIVE! New Troops, The Spire, Titles, and more! Click here to get all the details in this update! Server Merges for 3/29 @ 10:00 PM EDT We'll be merging a number of Wartune servers on the evening of March 29th. Click 'more' to get all the details of the merge, as well as special activities and promotions for the merged servers. Wartune Maintenance for 03/28 Cancelled ​Wartune's normal weekly maintenance on March 28th this week has been cancelled. But we've got news about Part Two of the 1.5 Patch inside! 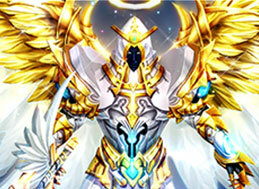 Wartune Weekly Maintenance 03/21 Completed Wartune's weekly Maintenance for March 21st has been completed. We've got the Patch Notes inside! Please click 'more' for additional details. Wartune 1.5 Part Two Contents! We've got a teaser as to what's coming in early April for Wartune. Click 'more' to check out the contents of Part Two of the 1.5 Update! Custom Player Designed Mounts, Wings and Clothing We're not accepting submissions for Wartune for player inspired clothing! Click 'more' to get the details on how to submit your idea! Wartune Weekly Maintenance 03/14 @ 3:00 AM EDT Wartune will be having its normal weekly Maintenance on March 14th at 3:00 AM EDT. Please click 'more' for additional details. 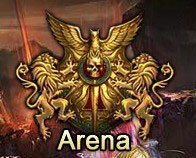 Wartune Server Merges 03/14 @ 10:00 PM EDT We'll be merging a number of Wartune servers on the evening of March 14th. Click 'more' to get all the details of the merge, as well as special activities and promotions for the merged servers. R2games to Hit 10 Million Users in 48 hours, $2,000 USD for the 10th Million User! R2games to Hit 10 Million Users in 48 hours, $2,000 USD for the 10th Million User! Emergency Maintenance @ 11:00 AM PST Servers S1, S4, S6, S10, S12, S14, S17, S20, S23, S64, S83, S87, and S90 will be going down for an emergency maintenance at 11:00 AM PST. This maintenance is expected to last for 3 hours. In addition, Oceanic Servers will be expected to go down at 17:00 GMT +8. The Oceanic Servers should only be down for 30 minutes. Wartune Weekly Maintenance 03/07 @ 2:00 AM EST Wartune's is back to its normal weekly maintenance schedule this Thursday the 7th of March. Click 'more' for all the details. Server Merges for 03/06 @ 1:00 AM EST We'll be merging a number of Wartune servers on the evening of March 6th. Click 'more' to get all the details of the merge, as well as special activities and promotions for the merged servers. Wartune Weekly Maintenance 02/27 @ 6:00 PM PST Wartune will be having its weekly Maintenance for all servers on February 27th at 6:00 PM PST. Maintenance is expected to last at least 6 hours, but could be longer. Please click 'more' for additional details. Wartune 1.5 Part One Guide! Servers S1, S6, S10, S12, and S17 are back up and running with Part One of the 1.5 Update! And we've got the Guide to Part One of the 1.5 Update right here. Click 'more' to find out what's in store and what's coming next week for everyone else! Server Merges for 02/21 @ 9:00 PM EST We'll be merging a number of Wartune servers on the evening of January 17th. Click 'more' to get all the details of the merge, as well as special activities and promotions for the merged servers. Wartune Weekly Maintenance 02/21 @ 11:00 PM pST ​Wartune will be having its weekly Maintenance on February 20th at 11:00 PM PST. During this time we'll be updating Servers S1 and S6 to 1.5 Part One in order to stress test the update for the next week before making it live. No Wartune Maintenance for 02/07 and 02/14 Wartune's weekly Maintenance will be taking two weeks off as the Devs prep for 1.5. Click 'more' for all the details! Wartune Weekly Maintenance 01/31 @ 1:00 AM EST Wartune will be having its normal weekly maintenance on January 31st at 2:00 AM EST for all servers except S40 and S84. Click 'more' for all the details inside. 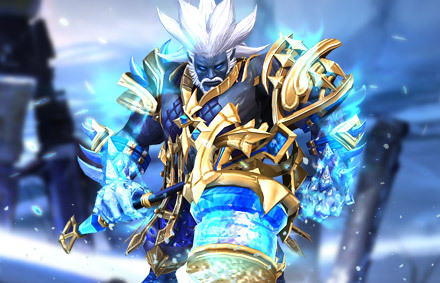 Wartune Emergency Maintenance 01/29 @ 3:00 AM EST Wartune servers S40, and S84 will be coming down at 3:00 AM EST for an emergency Maintenance on January 29th. Please click 'more' for all the details, and we apologize for the interruption in game play. Wartune 1.5 Preview: The Divine Altar ​Here at R2Games, as we start the process of converting over 1.5 for Wartune, we'll be releasing little hints and previews of what's to come on Fridays. This week we'll be looking at a new addition to Gulds: The Divine Altar. 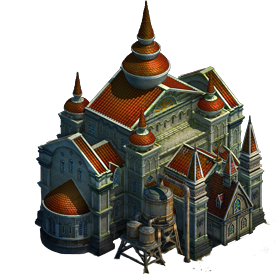 Wartune 1.5 Preview: VIP Wheel and Cooldowns Each Friday on the buildup to 1.5, we'll be running a series of teasers and hints to what's to come. 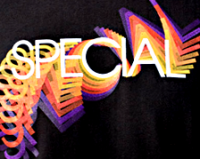 This week its a pair of minor changes for VIPs. Nothing game breaking, but some simple tweaks to save on clicking. [Activity] Wartune Hall of Fame Can you climb to the highest of heights? Be the fiercest of warriors within the land? If you are then click 'more' to find out how you can be rewarded with exclusive wings for being the toughest in all the realms! A Little Extra Holiday Magic We have two different recharge promotions this Christmas holiday, depending on your server. So before you recharge, be sure to click 'more' and get all the details for the recharge bonuses for your server! Christmas Gifts Galore! We have some free gifts for our players this Christmas! Be sure to be on at select times through out the day to unwrap your presents! Click 'more' to get all the info of when you can claim your prezzies. Wartune Ranking Level now on the Mainsite! We've got a new addition to the main site, the Rankings page! Head on over to check out who is the best of the best, either on a particular server, or on all the servers! Click 'more' for all the details. Coming Soon: The Spirit Covenant Are you looking for a way to save money and time? Needing an extra boost on Crypt runs? Check out the Spirit Covenant, coming to Part Two of the 1.45 Patch update! Click 'more' for all the details. Wartune has 5 nominations for the 2012 BBGs! Wartune has received 5 nominations for the 2012 BBGs, and we'd like players to go and vote for Wartune! As a thank you for voting, you'll earn a code for a prize pack. Click 'more' for all the details. Wartune 1.45 Extended Maintenance We're releasing part one of the 1.45 Update for Wartune this week. And with it comes an extended Maintenance. Click 'more' for all the details. Coming Soon: Wartune Gives you Wings Today we're giving players a peek at one of the new additions to Wartune getting ready to take flight: Wings! Wartune Maintenance 11/08/2012 Our Weekly Maintenance is complete. We've fixed the skill loss bug, and given all players a free skill reset to get back those lost points! Click on 'more' for all the details. Coming Soon Wartune 1.45 Patch Update--The New REVOLUTION The time has come for you to prove your worth... Sharpen your blades then tips of your arrows and undust your spell books because Wartune is bringing you the new revolution in November! 10/25 Patch Notes and Skill Loss Bug Along with the Patch Notes for the week, we've got an issue with the skill loss bug, and advise that all players get the details and share them with their friends and guildmates. Click 'more' for the details. Wartune Skill Calculator Now Live! The Skill Calculator is online and ready to use! Check it out by pressing the Skill Calculator button over on the right hand side of the website, or click 'more' for additional details. [Preview] Wartune Battlegrounds Video! Coming September 12th – New Battlegrounds! Wartune is almost here! Get something FREE now! Get your FREE Wartune item code now! 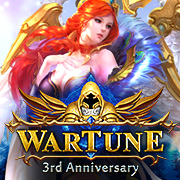 Wartune 3rd Anniversary Event! (VIII) Take a photo of your baked creation to win awesome rewards! Wartune 3rd Anniversary Event! (VII) We will randomly select 50 players who recharged 10,000 Balens or more (from 8/13 - 8/16) and send each of the winners a T-shirt! Players who send in a picture of themselves with their reward will win an extra 200 Bound Balens! Wartune 3rd Anniversary Event! (II) Share this post on Facebook (https://www.facebook.com/wartuneonline?ref=bookmarks) between 7th - 31st of August and extend your blessings for Wartune under the post, you will have a chance to win a bunch of prizes!!! Wartune 3rd Anniversary Event! (I) Win a Wartune T-shirt and other giveaways by Joining in our recharge activity from August 7-8, 2015! R2Games Holiday Promotion! 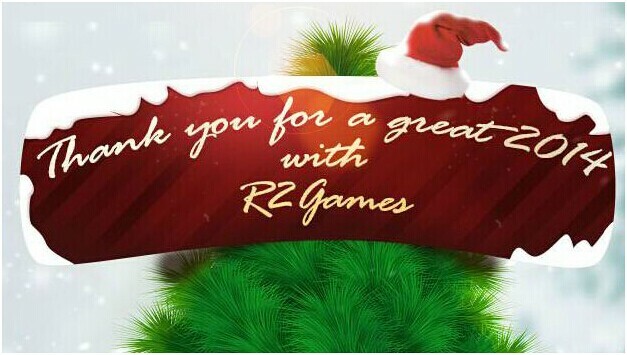 Merry Christmas and Happy New Year from R2Games. To celebrate, we invite you to take part in our special Holiday Event to collect FREE gifts for your favorite games! [Guide] New Event has arrived at Wilds (S1 only) A new event has arrived at Wilds. 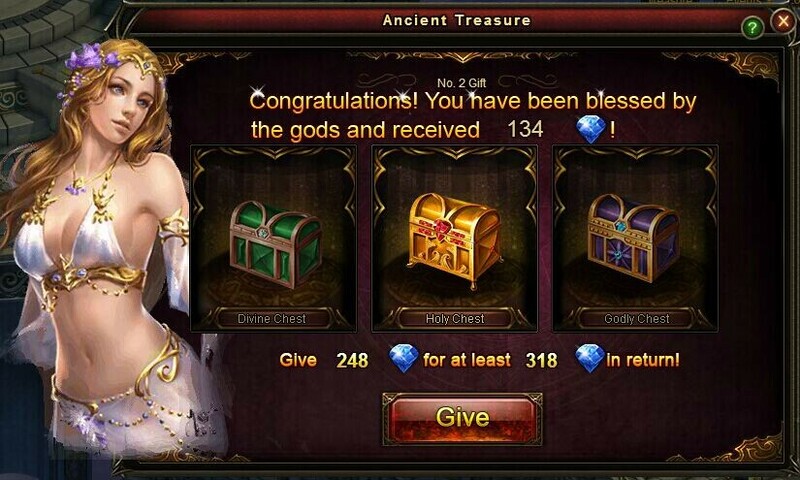 Fight the Wild Monsters and receive splendid rewards with your glorious victories! [Promotion] It Pays to Consume - Anniversary Edition! Use Balens to purchase items in the Shop and be showered with unique rewards! Rewards are based on total Balens spent during the promotion – NOT total Balens purchased. Click "more" for the details! It Pays to Consume for Independence Day! Spend Balens during this 4th of July event and receive unique rewards! Click here to see what all you can get just by spending Balens! [Promotion] It Pays to Consume for Father's Day! [Promotion] It Pays to Consume! Patch Notes and Guide for December 13th, 2012 Inside we've got the patch notes for today's maintenance, as well as a link to our Guide to Part 2 of the 1.45 Patch in our forums. Click "more" for the details! 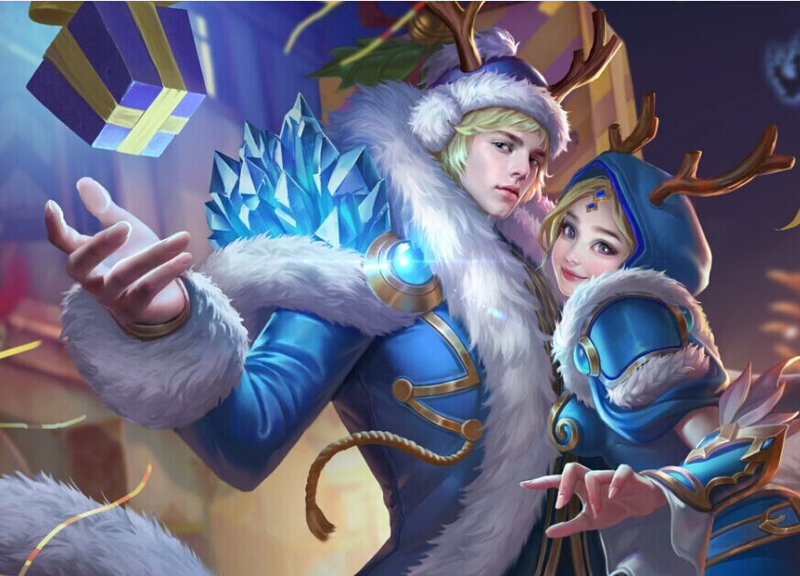 Wartune Holiday Festivities Ho ho ho, we have a whole host of Wintertime cheer coming your Wartune way this holiday month. 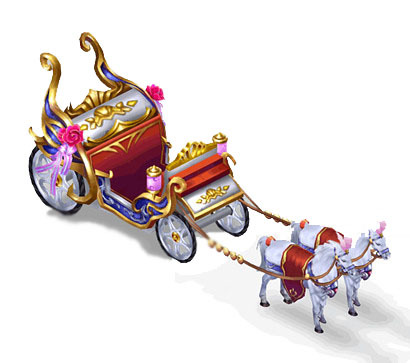 Do well and Santa will let you take one of his extra Reindeer home with you to add to your mount collection! Click "more" for all the details. Server S16 to S70 Promotions and Activities Here! We've got a whole host of brand new Activities and Promotions for our latest servers, starting with Server S71. Click 'more' for the link to our forums where you can read all about it! 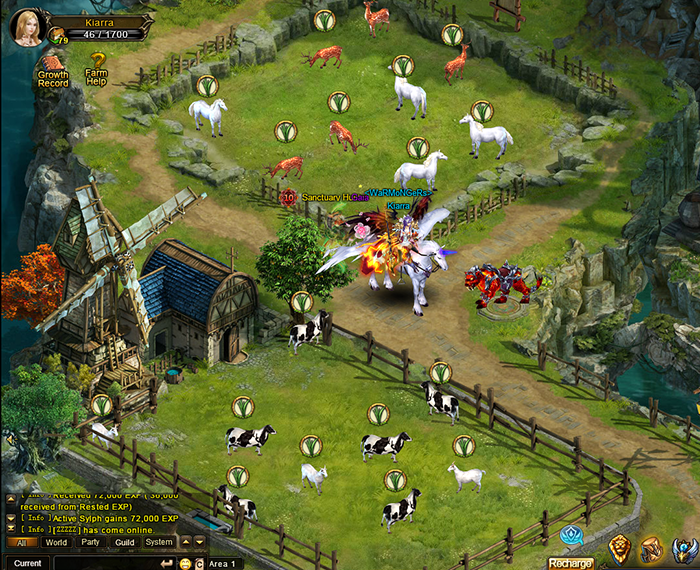 Wartune Activities for 11/21/2012 For the next two weeks its a quest to get the elusive White Alpaca mount. Specific activities will get you Star Shards, which you can then turn into to get a Lost Treasure. Lost Treasures will contain White Alpaca jigsaw pieces. Get 30 pieces and turn in for the mount! Click 'more' in order to get the details on our forums! Wartune Patch Notes for 11/15/2012 We've got the patch notes for Part One of the 1.45 Wartune Update right here. Just click 'more' for all the details. Wartune Patch Notes 11/08/2012 This week's patch comes with a fix for the skill loss bug, a free skill reset for all players, and a special promotion on a seed package. Click 'more' for all the details. 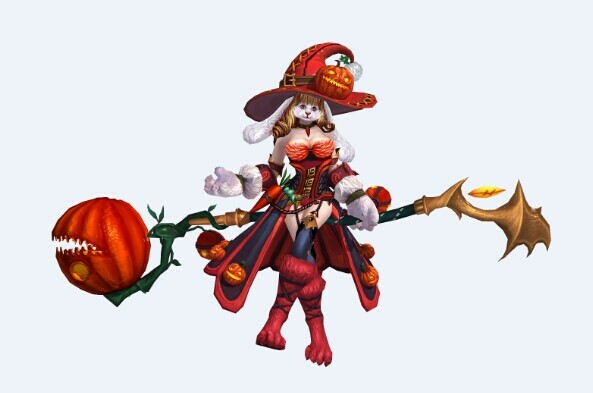 Halloween Events for Wartune Get all the details on the Halloween events in either our forums or the main page. Click 'more' for links! Patch Notes for 10/18 Maintenance Maintenance is over for 10/18 and the servers are back up. Click 'more' to see the patch notes with this week's update. Patch Notes for 10/11 Maintenance Maintenance is over and the servers are back up. Click 'more' to see the patch notes with this week's update. Maintenance Complete for 09/20/2012 This week's Maintenance has been completed. Click 'more' for all the details. [Annoucement] Wartune 1.3.5 Update Now Live! The 1.3.5 Update for Wartune is now live on all servers. Check here for our links to detailed information on each of the features of this Update and the Events we are running to celebrate. Event Reset Times Not sure when your Stamina resets? Or when the World Boss is going to spawn? Check out all the times for Resets and Events here!